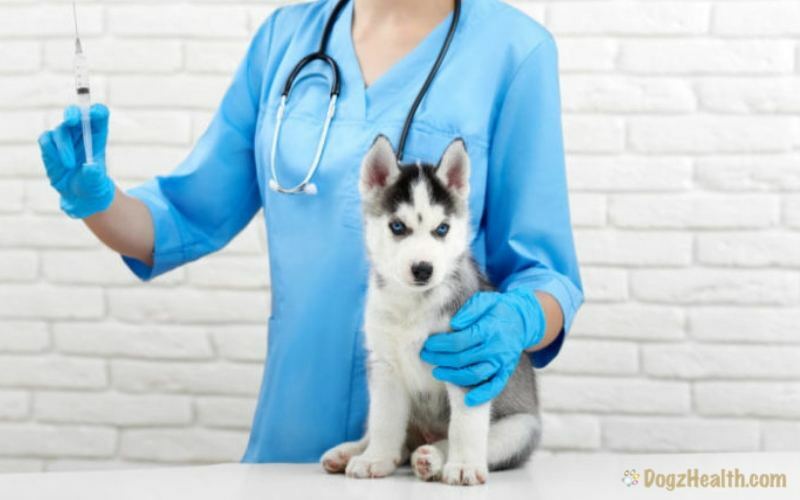 This page focuses on puppy and dog vaccination schedule, types of puppy vaccines, core and noncore vaccines, and the pros and cons of dog vaccinations. Canine vaccinations, i.e. “dog shots”, are important in preventing diseases such as distemper, parvovirus, kennel cough, rabies, and many more. 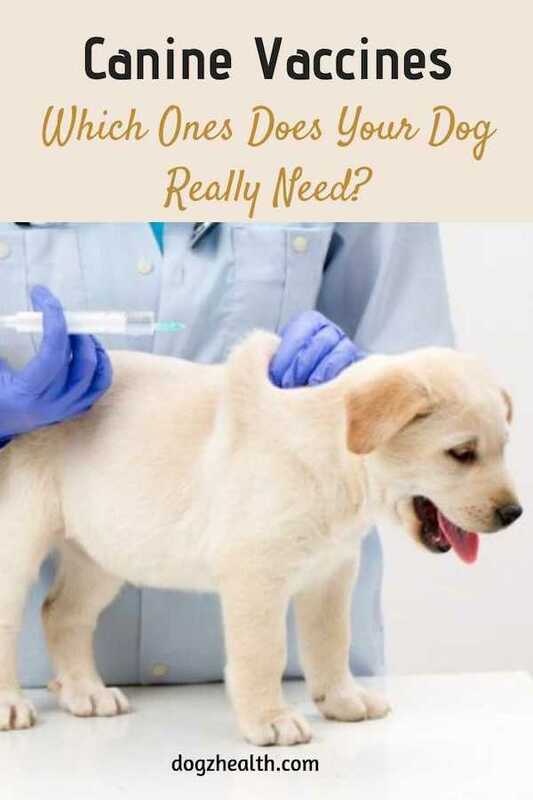 However, as effective as canine vaccines to induce active immunity in dogs against various diseases, dog vaccinations can fail and sometimes dogs may develop adverse reactions to a particular vaccine. In addition, recently there are debates as to whether annual “booster shots” are absolutely necessary. As dog owners, it is extremely important to learn more about dog vaccinations and puppy vaccination schedule, so that our puppies and dogs can be adequately protected against diseases. And at the same time, not overwhelmed by vaccines. Are Yearly Booster Shots Necessary? Why Do Vaccinations Sometimes Fail? These are vaccines that contain virus that is alive. The virus will replicate when injected into the bloodstream of a dog. Because the virus has been “modified”, it will not cause the actual disease. MLVs tend to generate a quick and full immune response which is more long-lasting than killed vaccines. However, because the virus is alive and will replicate in a dog’s body, there is always a chance that the dog’s health will be adversely affected. Killed vaccines are made with dead virus, which will not replicate in a dog, so they are incapable of causing disease. Instead, the vaccines rely on surface antigens and immune stimulants (adjuvants) to stimulate an immune response. These vaccines are the results of recent technologies. These vaccines deliver specific antigen material on a cellular level. Recombinant vaccines are safer as they eliminate the risk of vaccination reactions associated with giving the entire disease-causing virus. Most likely recombinant vaccines will soon replace MLVs and killed vaccines for many canine infectious diseases. A set of canine vaccine guidelines was released in 2003 (and revised in 2006 and 2011) by The American Animal Hospital Association (AAHA). Core Vaccines: Core vaccines are vaccines that every dog should have at some time in his life. Core vaccines include vaccines for Canine Distemper, Adenovirus, Canine Parvovirus, and Rabies. Noncore Vaccines: These are vaccines that only some dogs need, depending on various factors, such as the physical location of the dog and his lifestyle. Noncore vaccines include vaccines for Canine Parainfluenza, Bordetella, Leptospirosis, Influenza, Coronavirus, Lyme Disease, and Canine Adenovirus (Intranasal). Many canine vaccines are “combination” vaccines, i.e. a vaccine includes antigens for several diseases all in one shot. The most common combination vaccines currently used by veterinarians are DHPP or DA2PP, both of which are combination vaccines for distemper, hepatitis, parvovirus, and parainfluenza. In the past, most vets and pet owners thought that “booster shots” should be given yearly for almost all vaccines, but this theory has been changing. The timing of booster shots is currently still a subject of much debate. Based on recent research and evidence, it is now generally believed that viral vaccines tend to stimulate longer immunity than bacterial vaccines, which means that certain vaccines should produce effects that last for over one year. Some vets now believe that vaccines for parvovirus, distemper, and rabies probably have longer-lasting effects and that booster shots can be given every three years instead of every year. This interval for booster shots may be extended even longer with newer vaccines. On the other hand, evidence also shows that vaccines for parainfluenza, bordetella, and leptospirosis fail to protect a dog for one full year. So for dogs living in high risk areas, these vaccines might have to be given twice a year. It is now widely agreed that the decision as to when and what to revaccinate our pets should be more flexible and individualized. Discuss and work with your veterinarian to come up with a safe and customized dog vaccination schedule for your pup. The vaccination schedule should be based on the dog’s health and risk factors. Dogs who are malnourished, debilitated, and have weakened immune systems may not be able to properly respond to the vaccines, and may not be able to develop antibodies or build up immunity against the targeted diseases. As a general rule, therefore, sick dogs and dogs with compromised immune systems should NOT be vaccinated until they are in better health. Certain drugs, such as cortisone and chemotherapy agents, weaken the immune system. They also interfere with the body’s ability to produce antibodies. As such, dogs taking these drugs should not be vaccinated until the drug therapy is over. Puppies younger than 3 weeks of age may not be able to develop antibodies after inoculation because their immune systems are immature, and also because of interference by passive antibodies acquired from the mother’s body. These passive maternal antibodies disappear at between six and sixteen weeks of age. When vaccinating very young puppies, therefore, the vaccine has to be given more frequently to make sure that it will stimulate the production of antibodies as soon as maternal antibody levels decline. Improper handling, administration, and storage of vaccines can also result in failures. It is therefore important that vaccinations should only be given by professionals who are familiar with the procedure. The following table is an example of a puppy and dog vaccination schedule based on the recommendations of the American Animal Hospital Association (AAHA) 2006 Vaccine Guidelines. Please note that this is just one example – as mentioned above, a dog vaccination schedule should be individualized and customized in accordance with the dog’s health and risk factors, as well as the preference and decision of the dog’s parents. This decision should be reached together with the dog’s veterinarian.